It’s been a long wait since the MINI JCW Teams improbable victory at Daytona; but today the team will take to the track in round 2 of the Continental Tire SportsCar Challenge. Qualifying is at 8:30 AM EST which you can follow on IMSA radio. 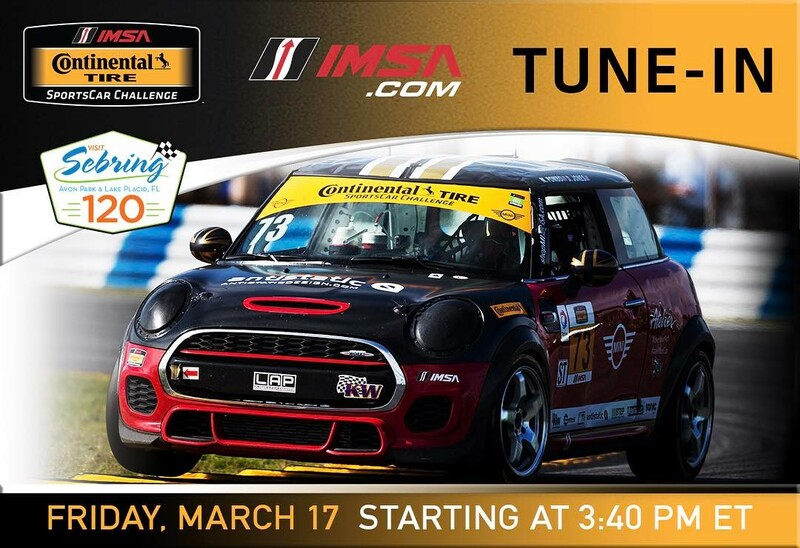 The race is at 3:40 PM EST which you can watch live on IMSA.tv.